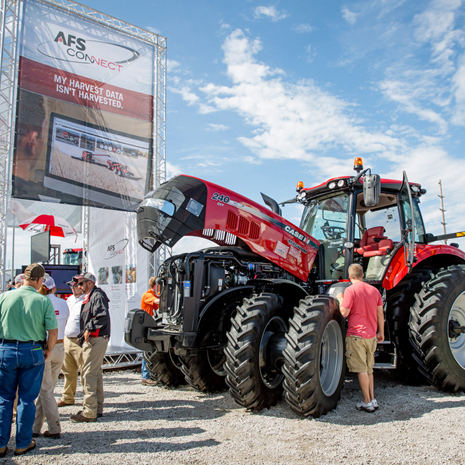 Every year, the Farm Progress Show offers visitors an opportunity to catch up on the latest information in crop protection, biotech traits, new equipment and crop production enhancement. All the major equipment makers roll out new tools, tractors, hay equipment and harvesters as part of the show. The challenge has always been getting the audience to interact with the equipment, while generating awareness of product features. 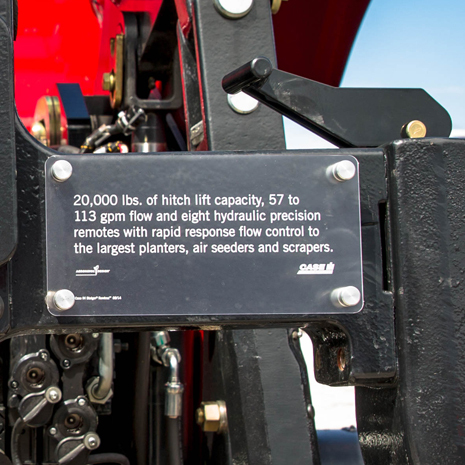 Typically, a sign filled with informational bullet points is placed in front of the machine. But positioning a 22"x28" sign in front of a 14-foot-high, 28,000 lb. 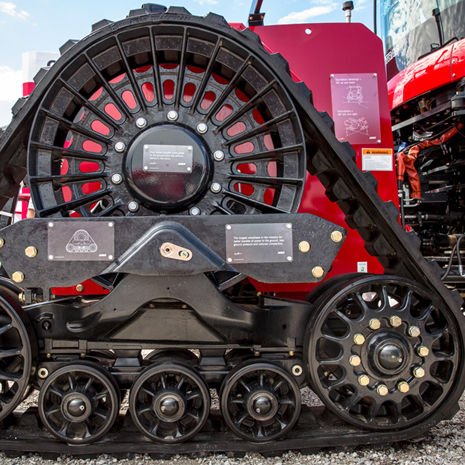 combine wasn’t getting the results the Case IH product team was looking for. For one, the conventional signage was distracting. Visitors didn’t like taking their eyes of the machines in order to process the information on the sign. Understanding how humans interact with equipment, Matt Dufek, Director of Accounts at Equity Creative, proposed a better way to draw people into the machines. “Why not treat this equipment with the respect it deserves? Why not elevate these half-million dollar machines to high-end museum pieces, complete with transparent, product information signs that don’t distract from the sophisticated design and engineering of the equipment itself?” Dufek asked. Unlike a static sales brochure or traditional website, here was an opportunity to engage the minds and bodies of potential customers by inviting them to take a self-guided tour through three-dimensional space. In short, here was the possibility to make the equipment Human Interesting. By strategically placing acrylic signs on equipment “hot spots,” visitors are invited to experience the machines on a feature-by-feature basis. The exhibit becomes an interactive tour that encourages people to step closer, explore and, ultimately, interact with sales personnel. The floor becomes a virtual showroom with the opportunity for sales reps to create a conversation based on what their visitors are experiencing first hand. 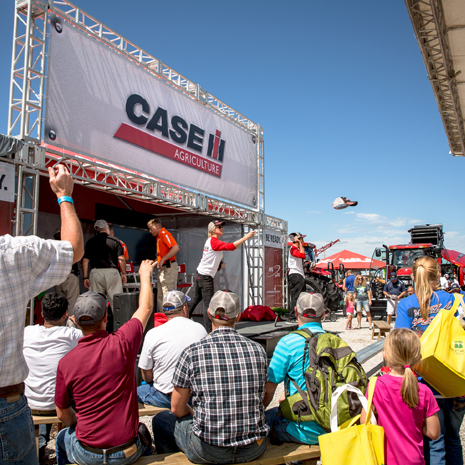 And when it comes to sales of Case IH equipment, that’s not a bad sign.